You've got a vacancy. What do you need to do to attract potential candidates to your opportunity? The main point of an advert is to grab attention of potential suitable candidates. You want to advertise where the target audience will see it. The easiest way of doing this is by conducting some user research internally - if you're recruiting for product managers, ask your product managers where they'd look if they were searching for a new role. That's probably a good starting place. 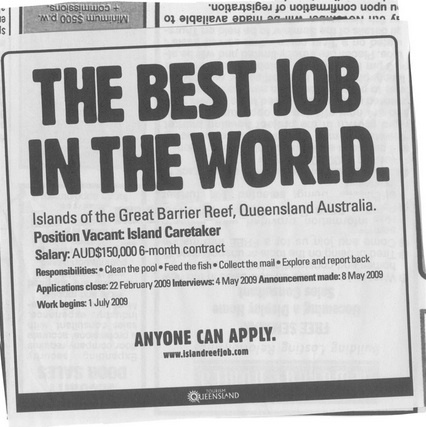 A good advert advertises an attractive opportunity. You need to ensure the your advert isn’t just a copy and paste of your job description, especially if the job description is outdated and inaccurate, or you risk wasting a great attraction opportunity. Let people know what problem you have that you need solving. What is broken that needs fixing? This challenge is what generally what will interest people. Include key details about the job: department, team, location, contract type, salary, security clearance required etc. Provide a concise description of your core business, culture, values and include a link to your website to help candidates find out more if they want to. One thing I see a lot in adverts is text outlining what the basic day-to-day tasks of a job are. I personally think this is redundant information. For example, if I saw an advert for a Recruitment role I wouldn't need to be told that part of the job would be to source and sift CVs, manage interviews, negotiate offers etc. because that's fairly obvious to me already and I'm the target audience. What I do want to know is the context and challenge - what is the industry? how many roles does the company want to hire? Is this going to be a newly formed team? What tools do they have in place? Could I make the changes I felt where appropriate or do I have to work in a set process and structure? Try to describe the unique challenge and the positive changes that they could make. Maybe providing facts or data could help scale the size of the challenge. Don’t use organisation-specific terminology or jargon as this could alienate candidates. Be honest and don’t be tempted to make the job sound better than it is, as this will quickly become apparent. If something is broken and you need this person to come in and fix it, just say it. That challenge might be what actually attracts them to you. When it comes to detailing the job requirements writing a long list of the ideal required qualifications, skills and experience could also alienate suitable candidates that may not have a couple of those listed and they might not apply. Only list those that are absolute requirements for the role. Remember that many skills can be learned on the job, and that an opportunity to grow and develop with your organisation can help to attract candidates. It makes sense to give an indication of what salary can be expected as this manages expectations and can help clarify what level the role is. This will help to limit the number of applications from over/under-qualified candidates. But salary is only one factor on offer. You want to include the unique selling points of the role, as well as elements of your employee value proposition (EVP). You can then direct them to the full job description and/or your careers site for more details. Include a reasonable closing date for applications and outline any specific application instructions, for example, if you require a CV and a portfolio etc. then make this clear. Provide a communication channel (email, phone number etc.) where candidates can ask questions. It is also extremely helpful to provide some details about the next stage and timeline in the selection process, e.g. ‘successful candidates will be invited to attend an assessment centre on x date’’. This will help to manage expectations. Check for discriminatory phrases, and avoid phrases such as ‘mature attitude’, ‘young and dynamic’, or ‘would suit school leavers’ etc. It is also advisable not to include a specific number of years experience for a role, as this can infer age discrimination. If the role involves work with children or vulnerable adults, a criminal record check may be required. Check your advert before it goes out. Why not ask someone with a fresh pair of eyes to do this? Ask them to check the copy for spelling, typography and grammatical errors. Before you publish the advert, try to do some user research and testing of your advert with your target audience. If you are recruiting for developers, then ask your own developers what they think of your advert and integrate the feedback.